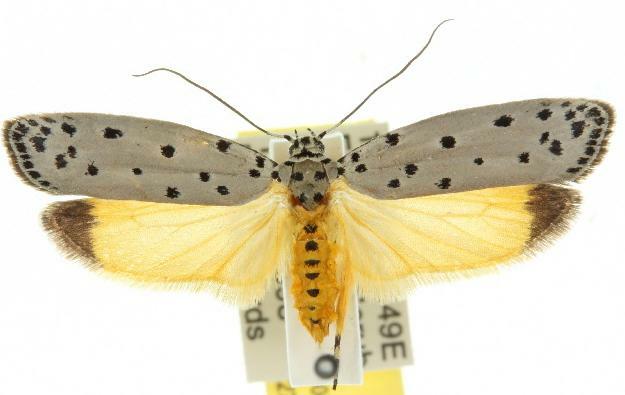 The adult moths of this species have grey forewings, each with a pattern of black spots, and yellow hindwings with black wing-tips. The head is grey with a black collar. The thorax is grey with black spots. The abdomen is yellow with a black spot on the back of each segment. The wingspan is about 2.7 cms.